How in the world do you build your ecommerce business by leveraging a tool like an email list? Isn’t the use of email as a marketing platform dead? On this episode of The Amazing Seller, you’ll hear from Scott as he goes over his email list engagement strategy, what to avoid when contacting your list, how to make an offer to your list without turning them off, why it’s important to retarget followers who didn’t open your email and other helpful tips! If you are ready to take your customer engagement strategy to the next level, then this episode is for you! Don’t look for the quick sale! Let’s face it, many ecommerce sellers are looking for a quick ROI for many of the tools and strategies that they deploy. Don’t be so quick to adopt this outlook! Time and time again, you’ve heard from Scott that success takes a long-term approach in the ecommerce sector. If you are looking for instant success and overnight results, you are in the wrong line of work! 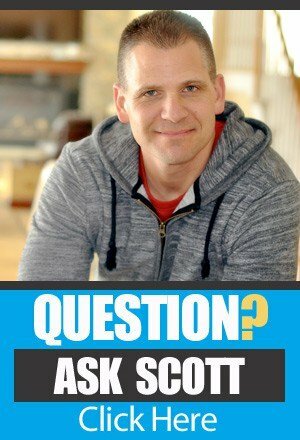 Take the time to learn from Scott’s seasoned approach to building an ecommerce business that will go the distance by listening to this helpful episode of The Amazing Seller! The formula for engaging your email list effectively. What does it take to get your followers engaged with your brand? How do you turn followers into fans? According to Scott, it all comes down to consistency and value. If you start off by shoving pitch after pitch in their face, you won’t have much of a following! Instead, focus on delivering at least one email a week that provides something of value. Don’t sell in every email! Place some trust deposits by sending them tips and stories about your niche topic and then make an ask. To hear more about this successful formula from Scott, make sure to listen to this episode of The Amazing Seller, you don’t’ want to miss it! Make sure to retarget followers who didn’t open your email. Did you know that you are in danger of leaving money on the table each time you send out an email to your list? It’s true! Too often ecommerce businesses will send out an email to their list and never follow up and retarget the subscribers who didn’t open their email. Don’t fall for that same trap! Taking that extra step to follow up and retarget those unread emails within 24 hours could be the difference between a few sales and a large number! Find out how to retarget your email list effectively by listening to Scott’s expert advice on this episode of The Amazing Seller! The PACE method won’t let you down! If you’ve been around the TAS community for very long then you’ve heard about the PACE method that Scott and his team have developed. Have you used the PACE method? 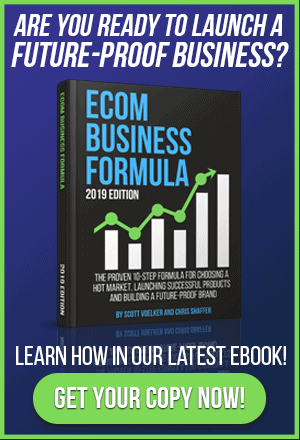 If you want to build a solid ecommerce business then you need to take a look at PACE and start mapping your roadmap to success. On this episode, you’ll hear from Scott as he goes over some strategies that you can use to effectively engage with your email list subscribers. This process falls under the cultivation pillar of the PACE methodology. To get the full breakdown of PACE, make sure to check out the resources section at the end of this post! [5:00] Isn’t email list building dead? [7:45] The wrong way and the right way to market and contact your email list. [13:00] The formula for engaging your list effectively. [19:45] Scott goes over his Memorial Day sale strategy. [25:30] Key takeaways from Scott’s strategy. [27:00] Why its important to retarget your unopened email list subscribers.